Pleasanton Parks & Rec will host Kid Fish, Thursday, June 28 at 9 a.m. at the Pleasanton River Park. Tents will be set up by the volleyball courts where small fishing demonstrations will take place. Ten loaner fishing poles and bait will be provided while supplies last. Snacks will also be served. The Pleasanton Express will donate a child’s fishing rod to one lucky winner. Every child participating will go home with a small prize too. 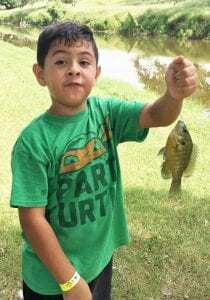 Space is limited so contact the Civic Center today to sign up for Kid Fish at (830) 569-5904. Parents are encouraged to attend and have fun!